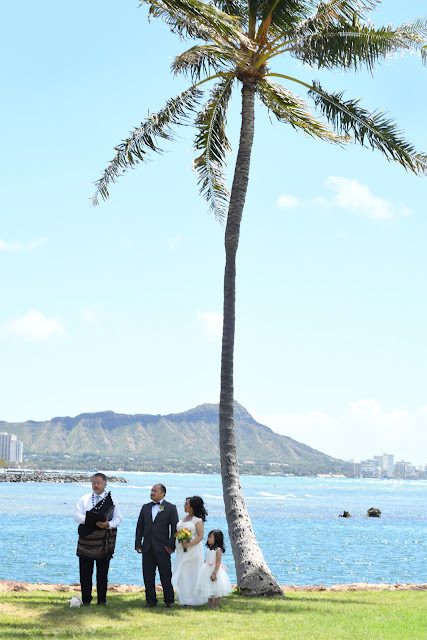 See Ala Wai Boat Harbor and Diamond Head from this spot on the edge of Magic Island at Ala Moana Beach Park. 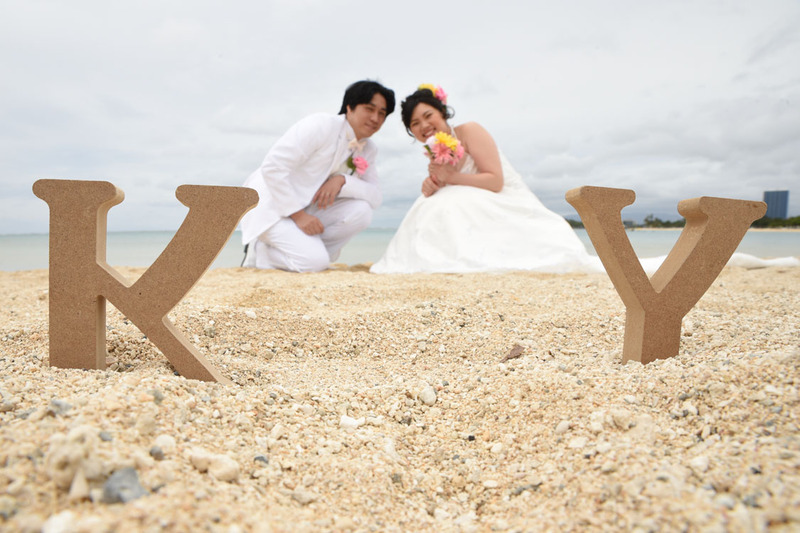 Bring along your initials or other photo props and we can use them in your photo shoot. 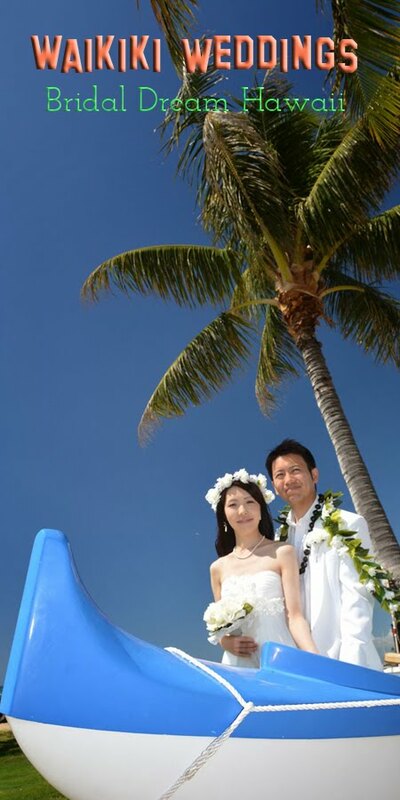 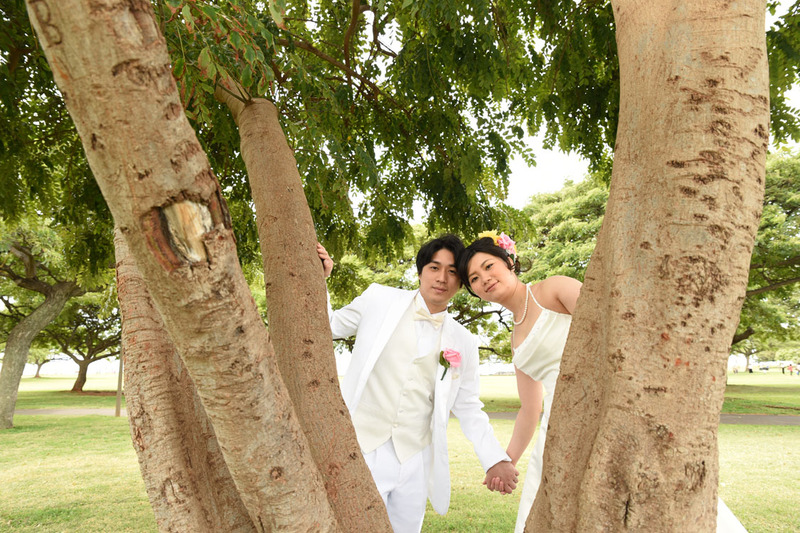 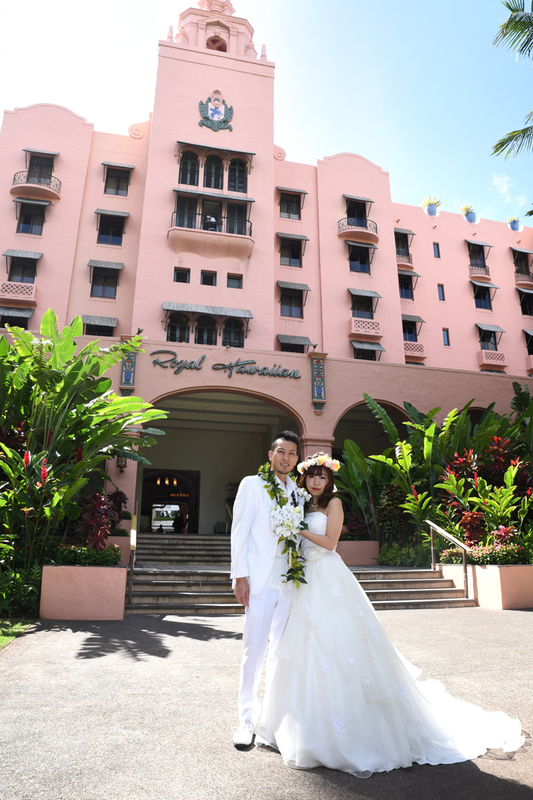 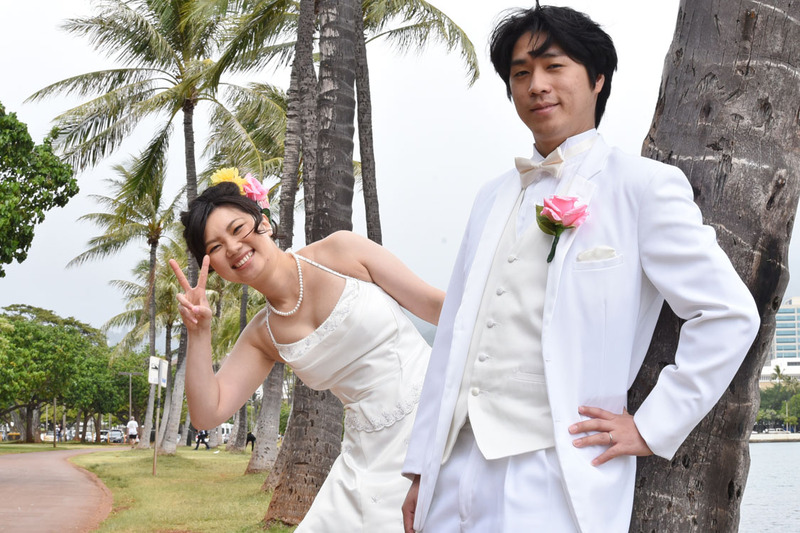 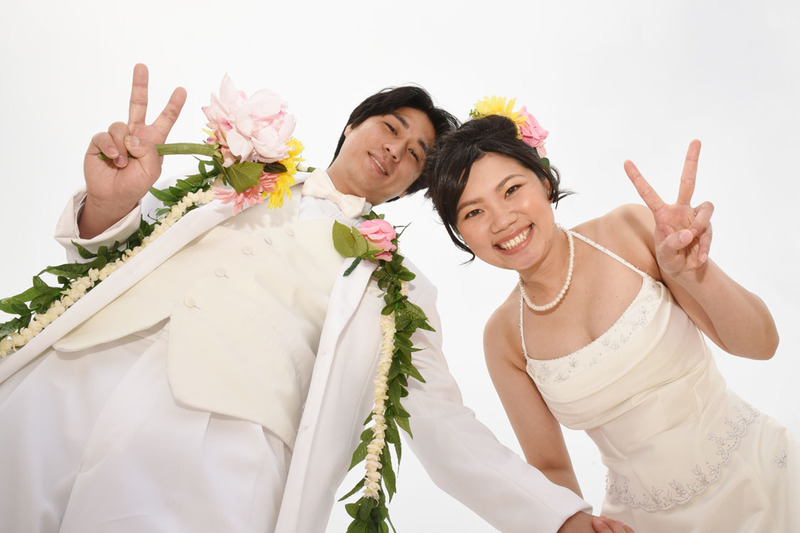 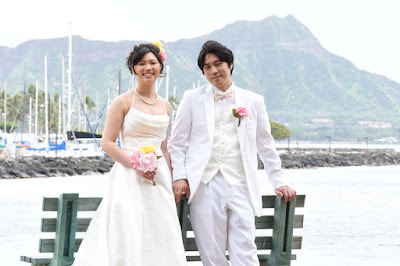 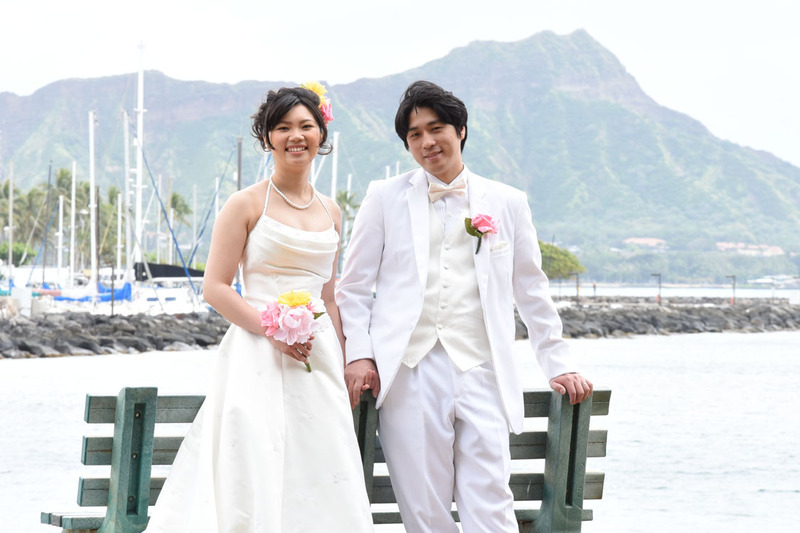 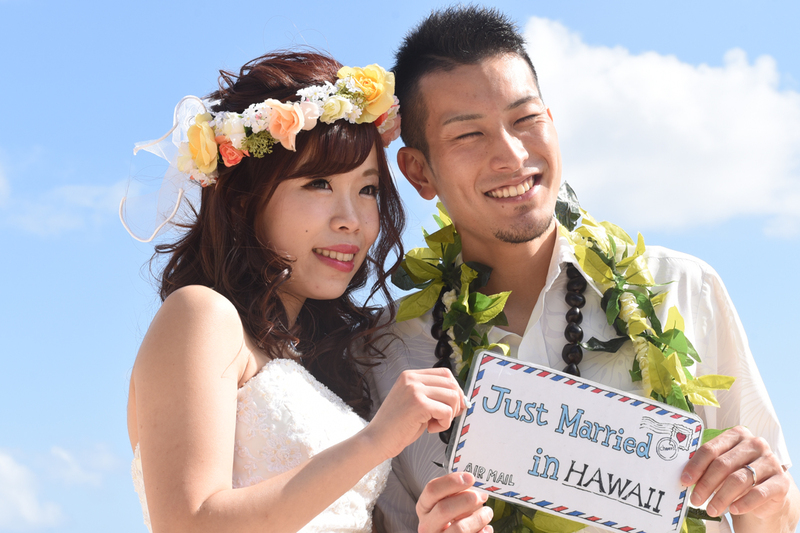 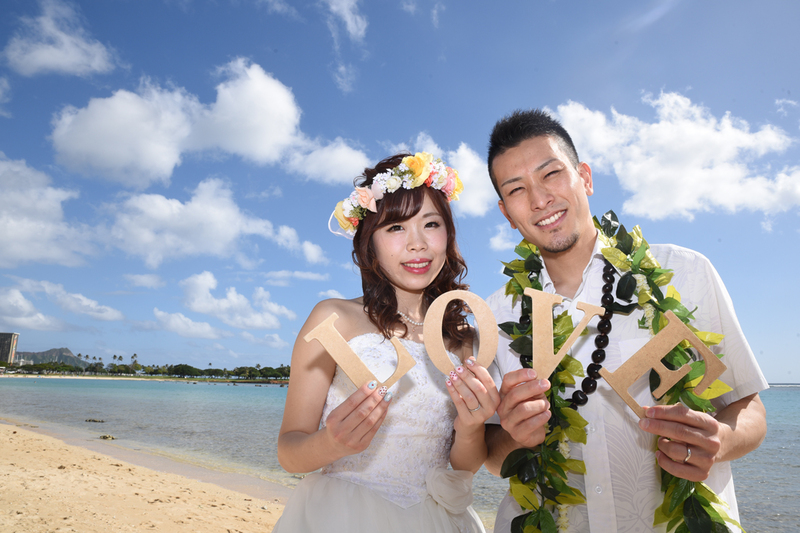 Fun wedding photos with Kazuki and Saya at Ala Moana Beach Park. 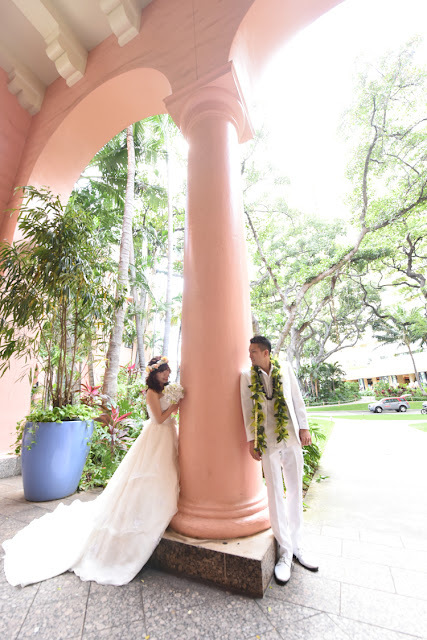 Beautiful shot, awesome weather in Honolulu Hawaii!